Google Cast or Chromecast? That, my friends, is the question. Seems like today Google is providing an answer, with reports that the Google Cast name is being gradually phased out in favor of Chromecast. Speakers and TVs with Cast seem to be the main victims (if you can call them that) here - rather than, say, a Vizio TV being 'Google Cast enabled,' it now has 'Chromecast built-in.' It's the same for TVs by Toshiba, or speakers by Sony - they now have Chromecast built-in instead of Google Cast. 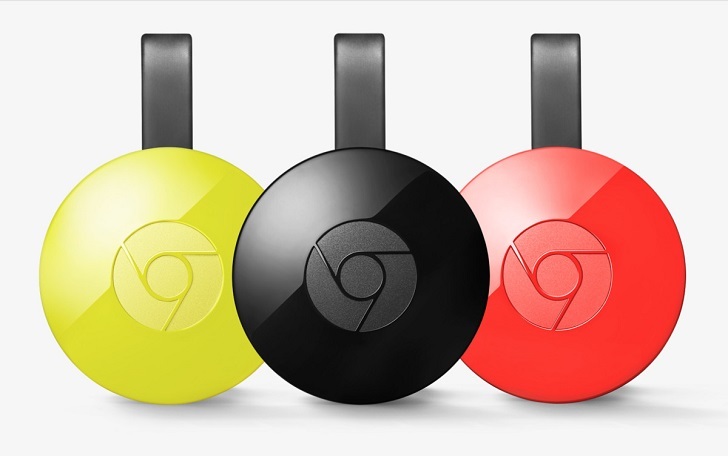 I suppose that Google has found that the Chromecast brand has more relevance and strength than the Google Cast brand, and that's what has been the driving force behind this change. Nevertheless, it seems that Google is having a little bit of a branding crisis for connected devices in the home. The first Chromecast preview firmware, version 1.21.72444, removed all references to 'Chrome' on the device, either when booting up, casting, or other times. The Chromecast app was rebranded to Google Cast, then changed to Google Home just over a month ago. The @googlecast Twitter account changed to @Chromecast yesterday. And now the Cast website, google.com/cast, refers to Google Cast as Chromecast built-in. I suppose it makes sense - consolidating around one unified name is an obvious marketing choice, and presumably Chromecast is the stronger of the two. There are still some updates to be made though - I still see Google Cast references in the Google Home app, and it's still referred to as such on the Android TV website as well. All this means that Google Cast is no more, but Chromecast lives on, a simplified brand in light of Google's renewed hardware efforts.